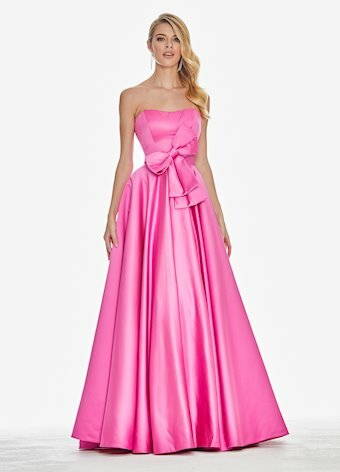 Stand out in this bow adorned ball gown at your next event. 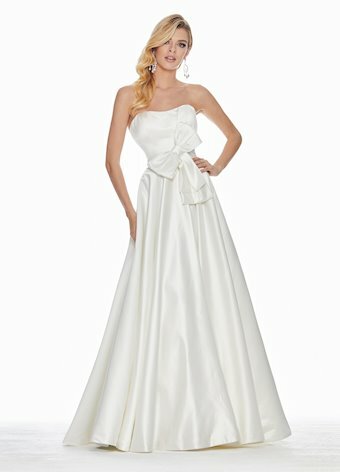 The sweetheart bustier has asymmetrical pleats and the waist is adorned with a satin oversized bow. The skirt is complete with pockets.